ÅF was one of few consulting firms that received awards at this year’s Volvo Cars Technology Awards (VCTA) in Gothenburg. The VCTA is Volvo Car’s most prestigious technology award and is meant to recognize and reward the innovations of its employees or consultants. ÅF, with three of its consultants, was the only company to receive awards for fantastic efforts and work in the fields of active safety and infotainment. The categories for the VCTA are research, product development, and manufacturing. The criteria are: new technology with a focus on innovation, good engineering science, proven results, and benefit to Volvo Cars. ÅF’s consultants won technology awards for promoting increased road safety and a more flexible and comfortable driving experience. 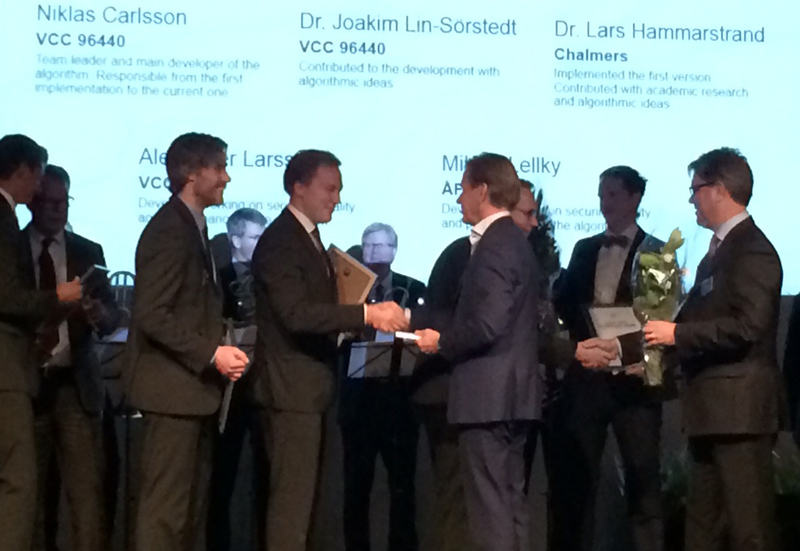 Frederick Björkqvist won an award for “Virtual Verification of Electronic Horizon Functionality”, which means tests can be done by simulating a stretch of road instead of driving with a physical vehicle. Michael Lellky won an award for “Road Geometry Fusion”, a detection function in the field of active safety that includes detecting vehicles ahead. Martin Hansson won an award for “Sensors Onboard Connected Apps”, which enables downloading of third-party applications to cars. For further information, contact Nils Malmros.